Have you ever taken a bite of something and it was so good you closed your eyes to savor the flavor without even realizing it? 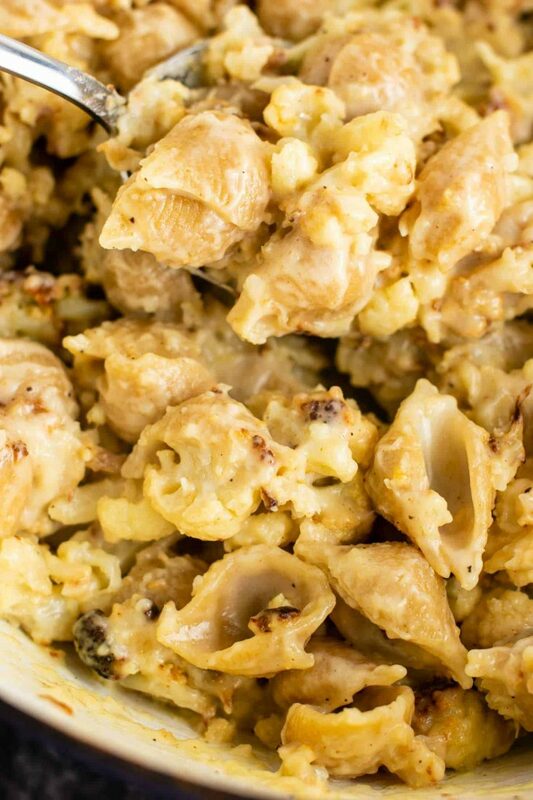 That was me with this roasted cauliflower shells and cheese recipe. I closed my eyes no less than 5 times while eating a bowl of this pasta because it was so jaw droppingly delicious. Does that make me weird? Y’all I DON’T EVEN CARE. After my easy mac and peas and my broccoli shells and cheese, I’m convinced that there isn’t a vegetables that doesn’t taste incredible mixed in mac and cheese. If that’s the case, I vote we all pledge to eat more mac and cheese! We deserve it. 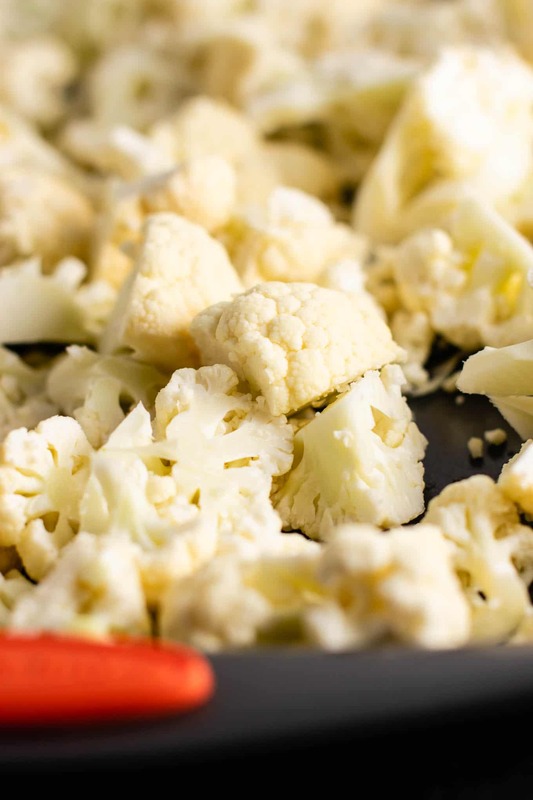 I’ve always liked cauliflower, but I wouldn’t consider it to be a top 3 favorite vegetable of mine. Well, that’s changed after this recipe. I literally looked at Robbie and told him I wished I hadn’t planned a full week of dinners because I just wanted to eat this every single night. I don’t think I’ve ever been so sad to finish off leftovers! For the cheese sauce, I use my favorite fool proof method that requires no “roux” aka flour + butter + a lot of babysitting. Ever since making my 5 minute nacho cheese sauce and my easy cheddar cheese sauce for vegetables, I have used this method over and over. It’s almost too easy to make a delicious cheese sauce without any work. I don’t think I’ll ever go back! 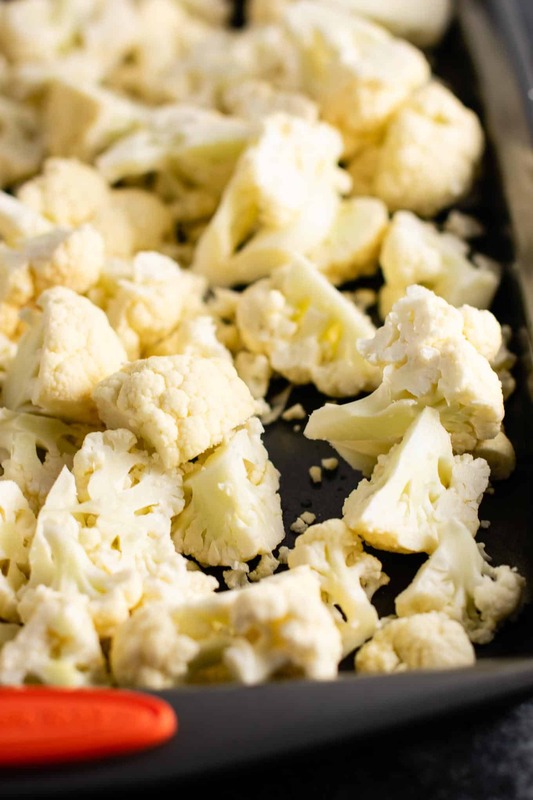 The roasted cauliflower gets some blackened edges and tons of flavor from the roasting. 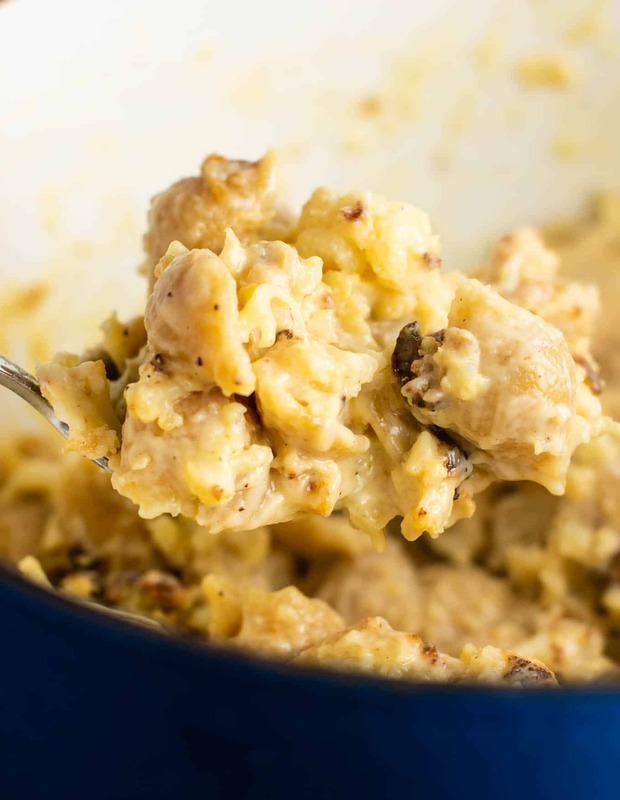 The whole wheat shells are the perfect texture to compliment the cheese and cauliflower. 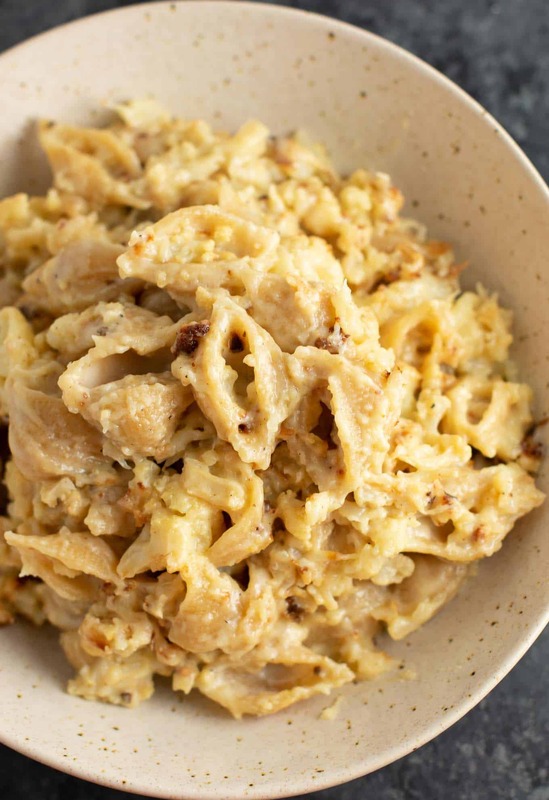 Once you’ve made your shells and your cheese sauce, it’s time to mix it all together! Guys, I just can’t even with this. I hate to play favorites, but this is BY FAR my favorite way to eat mac and cheese right now. Whole wheat shells coated in parmesan mozzarella cheese sauce with crispy cauliflower roasted to perfection. The best new comfort food is here. I wish you could dive into the screen and taste a bite for yourself. 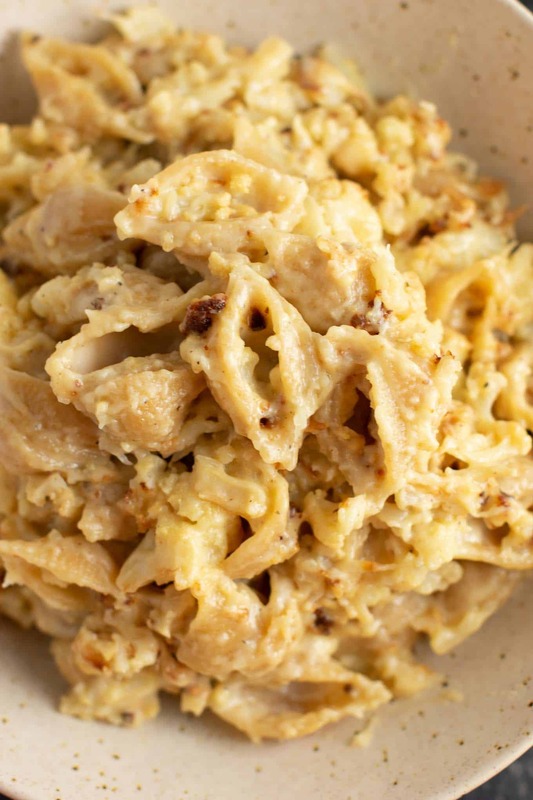 Can’t wait for you to try this recipe! Be sure to let me know what you think in the comments below. 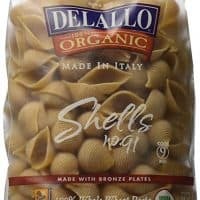 Looking for more healthy pasta recipes? Are you making this recipe? I want to see! Don’t forget to tag your recipe creations on instagram @buildyourbite and hashtag #buildyourbite so I can see them! 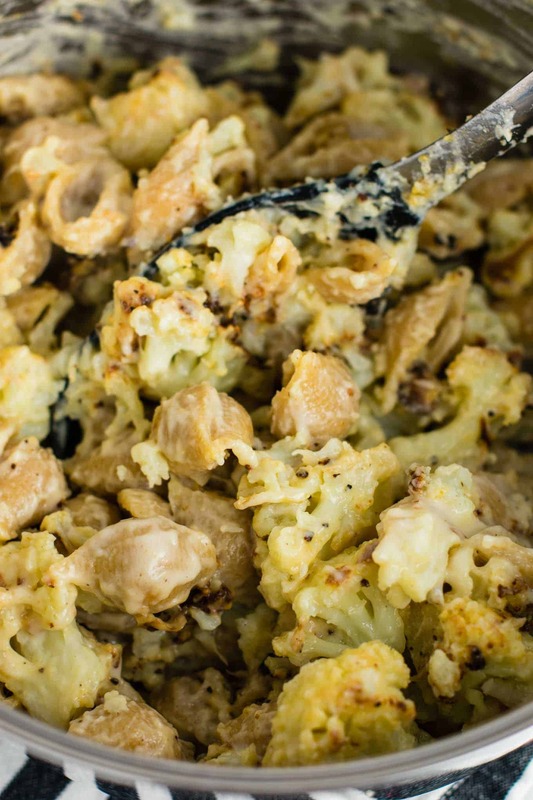 Incredible 30 minute roasted cauliflower shells and cheese. This has SO much flavor you won't want to stop eating! 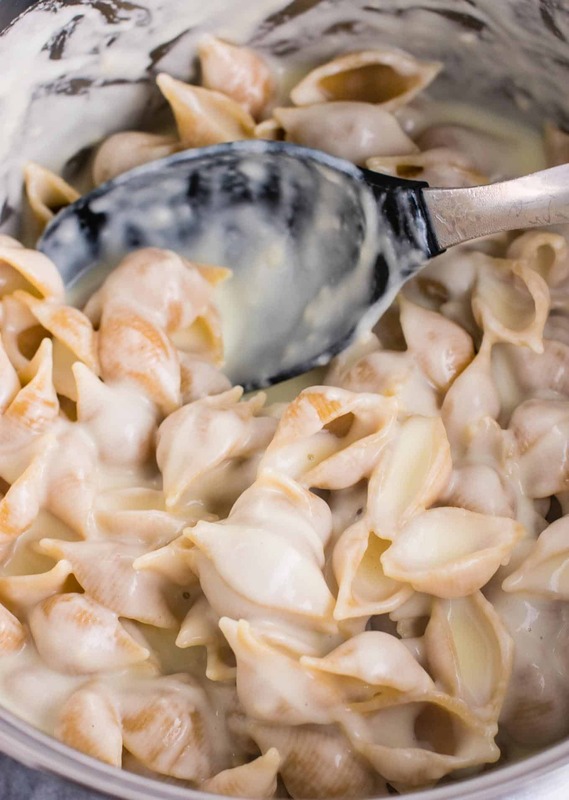 Did anyone else have trouble with the mozarella turning stringy and rubbery and clumping in giant pieces with the cauliflower, leaving little cheese on the noodles? So disappointed! LOVED this recipe! I’ve already made it 3 times!